"We know moving house can be stressful. This is why we offer an affordable and reliable removal service." 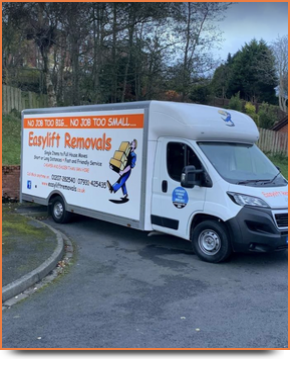 If you are moving house and need a couple of heavy items delivered to your new address, we have the right removal service for you. We will happily help with any removals and deliver your goods to their new destination quickly and safely. 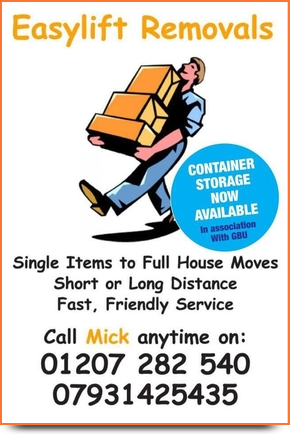 We can also offer storage advice and find you somewhere to store your belongings while you get settled in your new home, and we'll deliver them at a time convenient for you. Our aim is to make your moving day easier, so you can concentrate on enjoying your new home. We have many years of experience in removals and we guarantee that your goods will be in safe hands. Our prices are very competitive so you won't have to spend a fortune. We are prompt and extremely reliable to help make your moving day less stressful. Our removal service can help with everything from single items to house moves. We offer local and long-distance removals for your convenience. Our storage advice helps you find somewhere to store your things allowing you the time to get settled in, knowing your belongings are safe and secure. We offer free quotes for all our customers, so there will be no added extras down the line. Copyright © 2016 EasyLift Removals. All Rights Reserved.